Q. What is my default Library PIN? 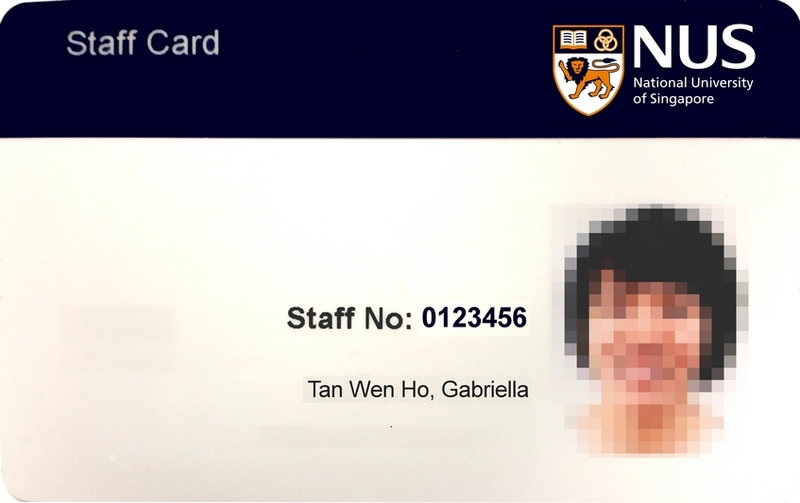 New incoming students , you will be considered a student of NUS only when you have completed registration. Upon completion of registration, it may take a few working days for the library record to be ported over. For new staff please see troubleshooting guide. If you are having difficulties using your default library pin, you can reset your library pin here. If you are unable to reset your library pin, please approach library staff at the Central Library Loans Desk for a reset. You may also email us or call us at 6516-2016 if you are unable to make it to the Central Library. Please note that the Staff library PIN is not the same as your Smartcard PIN. By default, your PIN (Personal Identification Number) is your staff number printed on your staff card (see screenshot below). You are advised to change it to a ANY combination of numbers up to a maximum of 8 numbers. If you have forgotten your library pin, you can reset your library pin. If you are unable to reset your library PIN, please approach library staff at the Central Library Loans Desk for a reset. You may also email us or call us at 6516-2016 if you are unable to make it to the Central Library. If you are new staff who recently joined NUS and have access to your NUS email, you probably can access eresources immediately, but your profile for the library portal and loans account may still be in the process of setting up. Please wait for a few days or contact us with details of your problem and we will assist you by informing the Library IT department. By default, your PIN (Personal Identification Number) is your Singaporean NRIC no. or your passport number or FIN number without letters. If you have forgotten your PIN and the default PIN doesn't work, you can reset your library pin. If you are unable to reset your library PIN, please approach library staff at the Central Library Loans Desk for a reset. You may also email us or call us at 6516-2016 if you are unable to make it to the Central Library. If you are sure you have the correct PIN and still cannot access the system, please ensure you have entered the correct matric/staff/membership number. Enter all alphanumeric characters as they appear on your membership, staff or matriculation cards. For corporate card holders, please check with the staff member of this corporation who was issued the card. 1.If you are new staff or student who recently joined us, your profile might not be setup yet. You can wait a few days or contact us with details of your problem and we will assist you. Depending on the profile, you might already be able to access eresources immediately. 2. You are using Internet Explorer 7/8/9, Firefox, Chome or Safari . All other browsers are currently not officially supported and may have issues.